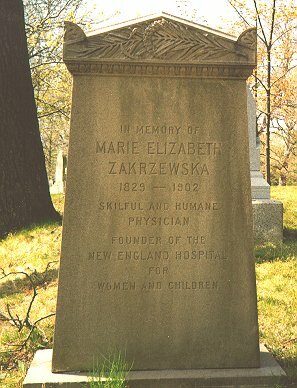 Marie Elizabeth Zakrzewska was not a nurse but was a physician instrumental in the founding of early training programs for nurses. She was born in 1829 in Berlin where she completed the training for midwives. She advanced to chief of the midwifery program at the Charité Hospital in Berlin but wanted to become a physician so she immigrated to the United States. She met and was mentored by Dr. Elizabeth Blackwell who encouraged her to attend the medical school at Western Reserve University. One of the earliest women physicians in America, "Dr. Zak" worked with Elizabeth Blackwell at the New York Infirmary for Women and Children. She then accepted a position at the New England Female Medical College of Boston in 1859. By 1862 she had opened the New England Hospital for Women and Children (now the Dimock Community Health Center). The training of nurses was one of the goals of this new facility. In 1872 the New England Hospital for Women and Children opened the first professional nurse training program in the country. The program was designed to train assistants to the physicians who would work in the hospital. A few lectures were taught by the physicians at the hospital, including Susan Dimock. Linda Richards was the first to complete the twelve month program on October 1 of 1873. Mary Eliza Mahoney, the first trained black nurse in the country, graduated from this school in 1879. Dr. Zakrzewska, a pivotal figure in the development of nurse training programs, died in 1902 a the age of 73. Dolan, J., Fitzpatrick, M.L., Herrmann, E. (1983). Nursing in society: A historical perspective. 15th Ed. Philadelphia: W.B. Saunders. Kalisch, B. Kalisch, P. (1995). The advance of American nursing. 3rd edition. Vietor Agnes C. (Ed.) 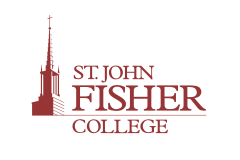 (1924). A Woman's Quest: The Life of Marie E. Zakrzewska, M.D. New York: D. Appleton, ). Zakrzewska, M. E. (October 1893). Fifty Years Ago-A Retrospect. Woman's Medical Journal, 1:10 193-195.